That’s when companies like Flagstaff-based Natural Channel Design and Fred Phillips Consulting can lend Mother Nature a restorative hand. They start by referencing a section of stream that’s working well. Then, they estimate the size of floodplain, the active channel, and vegetation along the banks to determine what’s needed to restore a degraded reach. 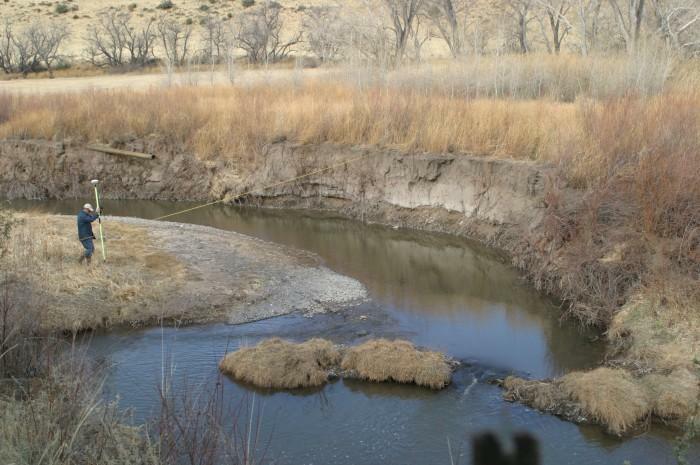 The stream flowing through old farm fields in the Wenima Wildlife Area, along the Little Colorado River near Springerville, Ariz., had been straightened and was eroding too much sediment from its banks. A stream design team rebuilt the channel meanders with dirt, brush, and logs, mimicking the original shape and size—and with gentle curving bends. That’s helped shift the erosive stresses back to the center of the stream, recreating a natural floodplain. 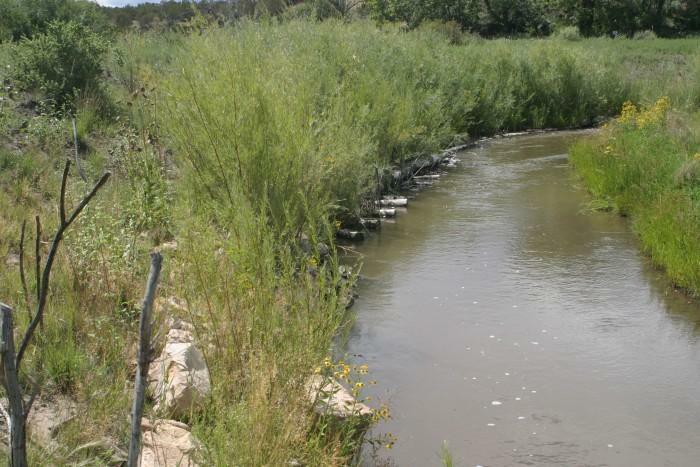 Another project focuses on an eight-mile stretch of the Virgin River in southern Utah grazed by cattle. Vegetation that stabilized the stream banks has been eaten away, and floods have eroded the sides and created a braided channel across the entire valley. Once grazing can be reduced or eliminated, a team will plant native vegetation where the channel should be. Those plantings will help “train” the stream to shift back to its original narrow thread. Well-aerated riffles and meanders with pools will also help bring back healthy aquatic invertebrates and fish. It turns out nature knows what she’s doing—and provides an excellent guide. How hard is it to go plastics-free? That’s a question many communities in the U.S. are asking since China stopped accepting our plastic waste. If you see a bat-like bird with long, narrow wings zigzagging across the sky in early morning or evening twilight, it’s likely the common nighthawk. But in a small corner of northern Arizona, another nighthawk species is also found. For the Zuni of northern New Mexico, a favorite food of winter is parched corn. They say it’s to be made only in the winter months—if prepared during the growing season, it may adversely affect the fresh corn crops in the field.  Each year across the nation, including the Four Corners states, several hundred volunteers brave freezing January temperatures to count bald eagles. They hunker down on lakeshores peering through spotting scopes, drive standard survey routes clutching binoculars, some even observe from boats and planes. There’s something different about the streetlights in Flagstaff, Ariz., these days. They’re part of an experiment to find a lightbulb that won’t outshine the town’s starry night skies.